You have a general idea about where you want you business to be five years from now. (If you don't check out this article first, and then come back.) It you really want your plan to be effective, you need to frame your goals in a way that will help you to achieve them. There's where SMART goal setting comes in. I used SMART goal setting with clients for years. I use it myself when I'm working on goal setting and long term planning. the SMART technique is excellent because it help you to frame your goals in a way that ensures they are within you control, reasonable, and clearly defined. The SMART technique is a tried and tested method for setting effective goals. It's an old standard, but if you use the technique, it can help you develop more effective goals. The technique will help ensure your goals are structured in a way that sets you up for success. S - Specific - Your goal is clearly defined. M - Measurable - You clearly identify what you will have accomplished when you've achieved the goal. A - Achievable - You have control over your desired outcomes. R - Realistic - You can reasonably expect to complete your goal with the time and resources you have available. T - Time Bound - There's a time frame attached to your goal. Over the next 13 weeks, I will open an Etsy shop and create 20 high quality listings in my shop. “I will grow my craft business." That goal is not specific enough to inform your actions. It's far too big. Where do you even begin? You'll know you've completed the goal when you have an Etsy shop with 20 high quality listings. 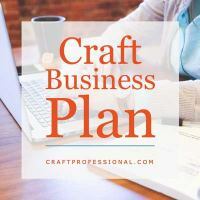 That won't be the end of building your Etsy business, but when you reach 20 great items in your shop, you can feel good that you've accomplished your first phase, regroup, and decide what to do next. When we talk about SMART goals, achievable means the goal is largely within your control and doesn't heavily depend on the actions of others. The example goal is completely within a craft professional's control. You can set up an Etsy shop with 20 listings without too much dependance on forces outside of your control. If your goal was to make 30 sales on Etsy in the next 13 weeks, that would not be a SMART goal because accomplishing it is not fully within your control. Yes, it is absolutely possible to make 30 sales in 13 weeks, but you don't have ultimate control over the number of sales you make. You have control of your own actions, not the actions of others. Your goals must be tied to your actions that you can achieve and are within your own power. If your goal is to post 20 items in an Etsy shop in 13 weeks, then, of course, you want to make sales on Etsy. But you don't have ultimate control of people's buying choices. 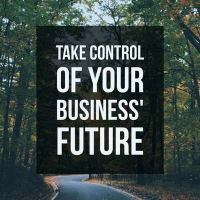 You do have control over all of the actions you can take that are aimed at boosting sales. Your goals should revolve around completing those tasks because they are within your control. This distinction is subtle, but it is important, and it's where people often go wrong in SMART goal setting. 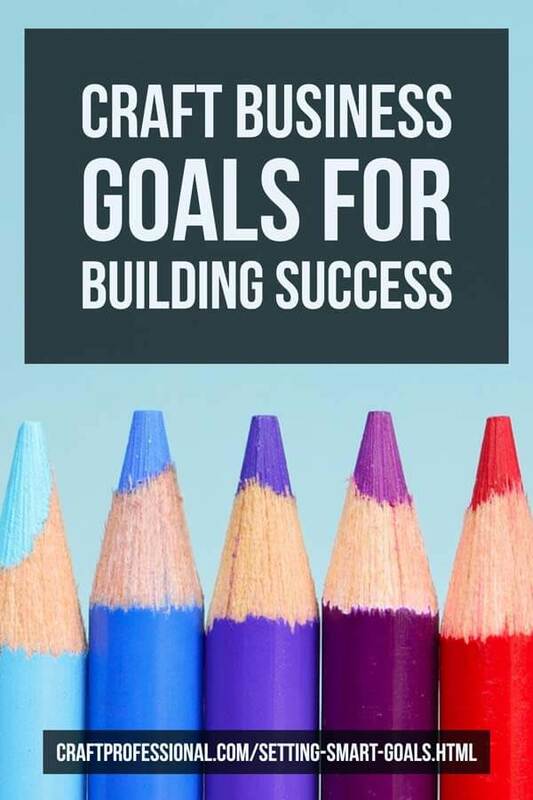 Assuming the person who created this goal has the resources to learn how to open an Etsy shop, create 20 items to sell, photograph them, and write up great descriptions within the given time frame, the goal is achievable. You'll need to look at your own time and money resources to determine if your own goal is realistic. The goal is time bound with a 13 week time frame. Using the SMART technique will help you frame your goals in a way that is effective, clear, realistic, and largely under your control. Have you done this one step that can move your business in the direction you want? 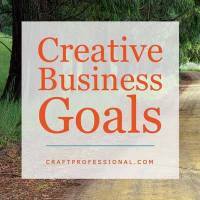 Goal setting for craft business owners.